STRUCTURE - Little room made of wood scraps. Cinthia and Leovigildo met through Cinthia brother. He was working with vegetables alongside Leovigildo and Cinthia would come and help her brother, and that's where they met. They started to talk, and six months later they became boyfriend and girlfriend. Two months after that, Cinthia got pregnant. Both of them with Leovigildo's parents, went to Cinthia's parents home, to ask if they could move in together. They then moved in with Leovigildo's parents. After in June 2017 they found a piece of property close by and built a little room there, but the room is made of wood scraps and doesn't have much to build on, that's why they came to ask for help from Homes of Hope. Leovigildo is from Oaxaca and came to Ensenada with his family when he was two years old. He works with vegetables, sorting the corn. It's a temporary job and there are weeks with where he works every day, but right now is a season where he doesn't know if he'll have work the following day. His weekly salary is $44 USD. February 14th of this year, they got married and are very excited for the opportunity to receive a home. 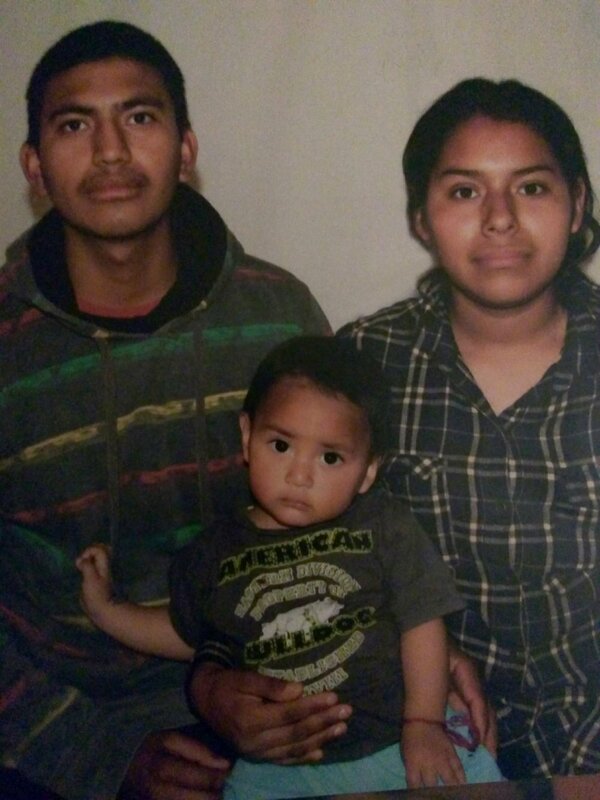 When their situation is more stable, Cinthia is thinking about having more children, but because the little room where they live, lets in the cold as well as water when it rains, it's a little complicated. In the future, both of them want to finish their high school and continue studying. As they haven't finished their schooling, they haven't had many opportunities to find better jobs. But for now, they need to take care of their son and provide for his future. Receiving a home is the first step to a better future.